Travels from Raleigh-Durham, North Carolina, USA . 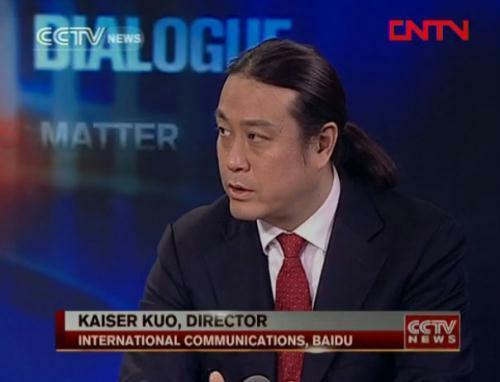 Kaiser Kuo is an American-born writer, rock musician, technology watcher and cultural commentator. He served as director of international communications at China’s largest search engine, Baidu. He returned to the US in 2016 after 20 years in China after his longtime labor of love, The Sinica Podcast, a weekly podcast on current affairs in China, was acquired by New York-based SupChina. He now serves as host of Sinica and editor-at-large for SupChina. Kaiser has worked closely with the Chinese Internet since its very early days, working for companies ranging from startups to some of the biggest Chinese Internet firms, as well as for serving for several years as a technology reporter for the Silicon Valley-based magazine Red Herring. Kaiser was co-founder and lead guitarist of one of China’s most successful rock bands, Tang Dynasty. After leaving that band in 1999, he continued to be active in Beijing’s rock scene as lead guitarist of Chunqiu. His animated and passionate style of delivery has earned him much praise at the multitude of events he joined as a professional speaker. He has a reputation as an edgy and often humorous speaker. Kaiser now lives in Chapel Hill, North Carolina, with his wife and two children.